Reverend Lucien Duperier’s family planted the first seeds of Ministries of Aides International, Incorporated (MAII) as Lucien grew up in the 1970s. Moved by the disheartening poverty around them in Port Margot, Haiti, the Duperiers would bring orphaned children into their home and raise them as members of the family. FOUNDING MAII (1981): In 1981, Rev. Lucien had seen enough homelessness and despair. He also knew that housing one orphan at a time would never change the systemic challenges that his society faced. Consequently, he decided to take more effective measures. Confident in the power of education, Rev. Lucien was determined to open the first school in the city. With this goal in mind, he founded MAII and unlocked the doors of a primary school that educated 316 children from grades 1 through 8. BUILDING A SCHOOL SYSTEM (1984-present): It is quite an accomplishment to provide a school for over 300 children, but Rev. Lucien was not satisfied with having just one school. 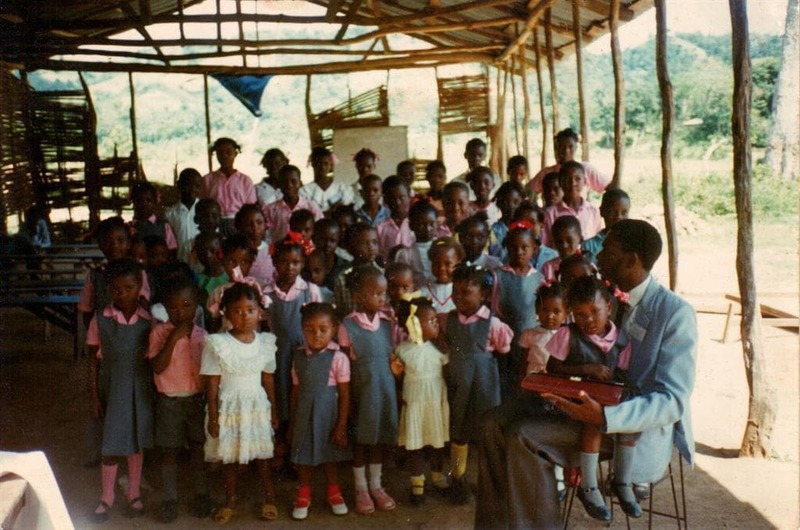 Soon MAII had established primary schools in many of the neighboring communities. In 2002, Rev Lucien helped establish the first secondary school in Port Margot. Today, MAII’s College Mixte Siloé school system operates 9 schools in northern Haiti, offering education to more than 1,500 students from grades 1 through 13. 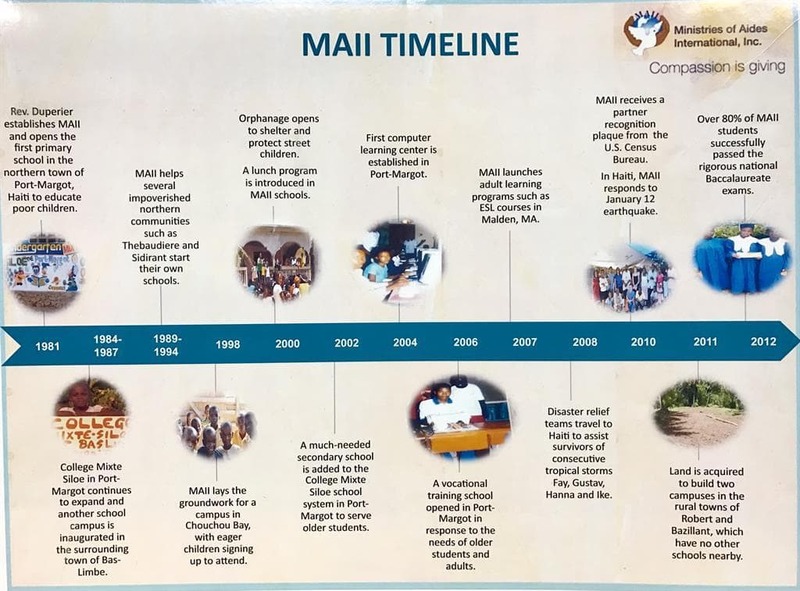 ADOPTING A HOLISTIC APPROACH (2000-present): While children’s education has been and will always be at the center of MAII’s theory of change, in the year 2000 the organization launched an initiative to offer a more comprehensive set of services that seek to revitalize whole families and communities. 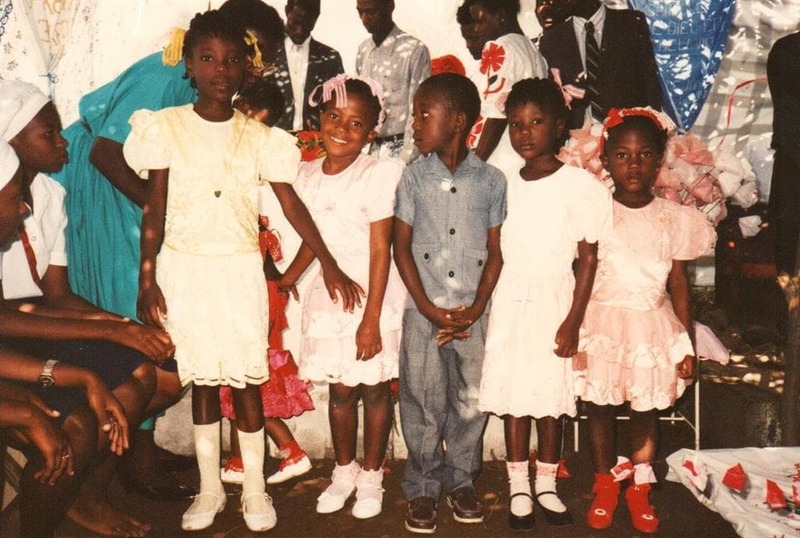 In 2000, MAII opened its first orphanage in order to bring shelter, health, and stability to children living on the streets. Next, MAII expanded its education to adult programs including a Computer Learning Center (est. 2004) and a Technical and Vocational Center (est. 2006). Since 2010, healthcare provision has become a major priority for the organization. The earthquake in 2010 also necessitated significant aid to the people of Haiti in the form of relief containers, food, temporary housing, construction, and emotional support.